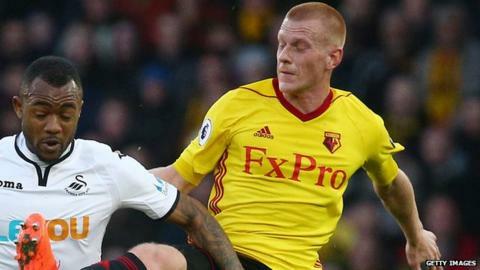 Nottingham Forest have signed midfielder Ben Watson on a two-and-a-half-year deal after his release by Premier League side Watford last week. The 32-year-old is a graduate of Crystal Palace's academy and joined Wigan for £2m in January 2009. He spent six years with the Latics, scoring the last-minute winner in the 2013 FA Cup final victory over Manchester City. Watson joined Watford in January 2015 and scored twice in 78 appearances.